In an introductory fashion course, there were typically 30+ students huddled around one machine trying to view very detailed and complicated demonstrations. As a result, many of the students were not gaining or retaining the knowledge of basic sewing skills that they would need when performing these skills in this and future courses. For instance, some students were still struggling with how to thread an industrial sewing machine or how to prepare and sew certain parts of a garment when reaching upper level courses. I led a team of subject matter experts and multimedia developers to create a mobile website that hosts how-to videos of the instructors demonstrating these processes. 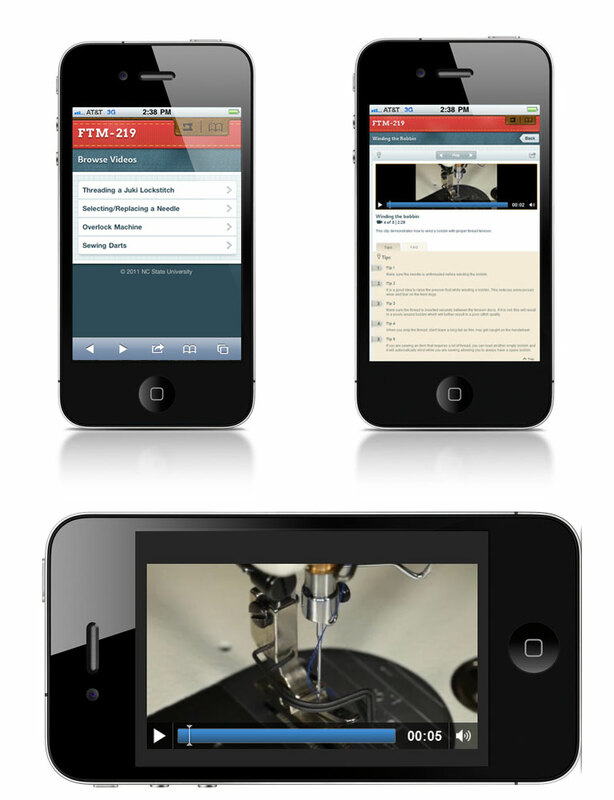 This gives students access to these videos anywhere, anytime whether it be at home or in the lab while they are sewing.The mobile site also includes tips and FAQs as well as links out to glossary terms where appropriate.